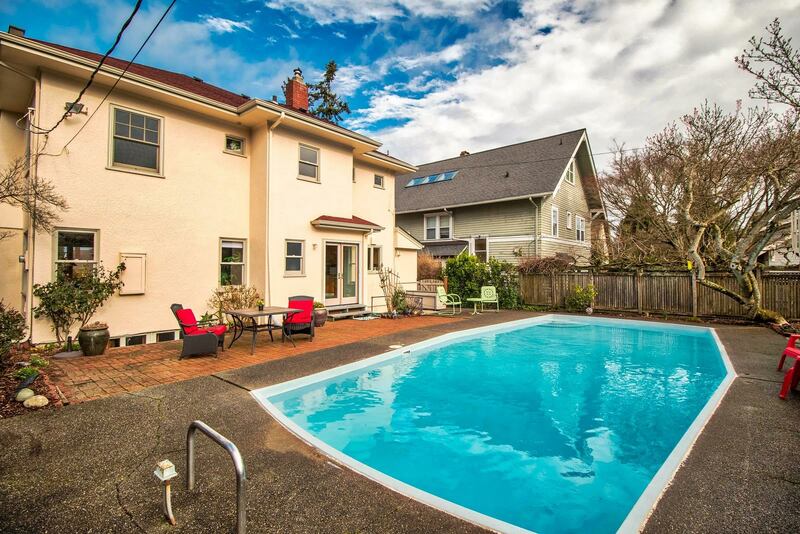 Nestled in a highly desired North Tacoma location that’s right in between the waterfront and the Proctor District, this stunning 1920s Mediterranean Classic offers dreamy magazine-worthy living! This home features a sprawling 2,166-square-foot layout that includes 3 bedrooms, 1.5 baths, fabulous living spaces, a finished lower level, and so much more! This residence’s outdoor amenities are just as impressive as its interior—a heated pool with an expansive patio await as well. 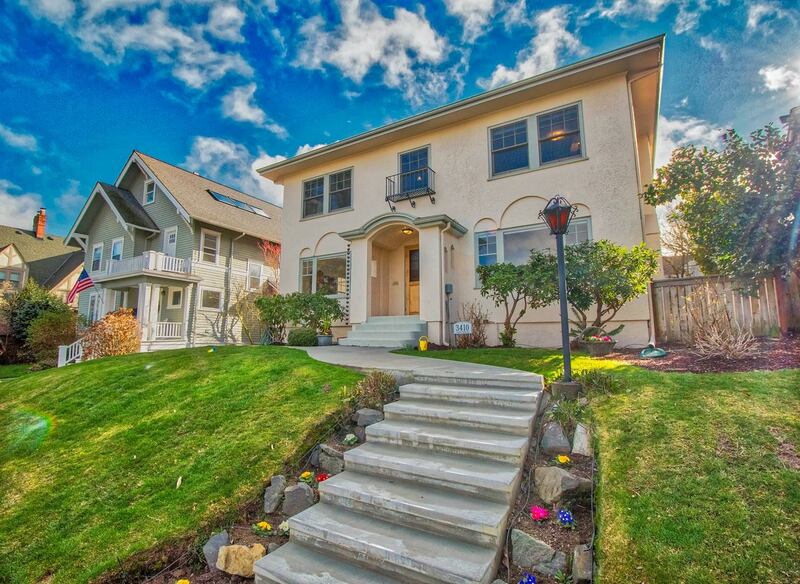 Located at 3410 N 29th St Tacoma WA 98407, this timeless Tacoma treasure is listed for $600,000. Built in 1927, this charming masterpiece shows off vintage style while still offering the contemporary amenities that modern homeowners love. 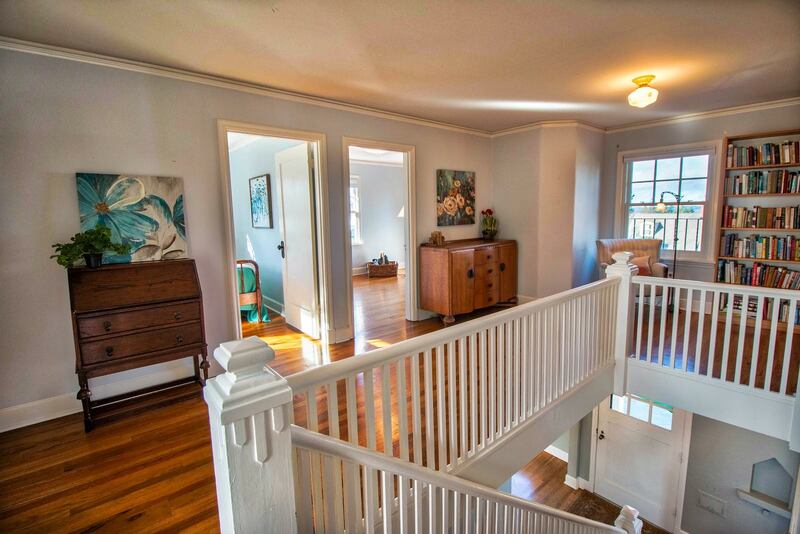 Picturesque curb appeal delivers a memorable first impression, and as soon as you step inside, incredible original hardwoods and an inviting, light-filled atmosphere delights. The spacious living room awaits immediately to the right, and here you’ll find walls replete with crystal-clear windows. Natural light cascades in while water views in the distance beckon. This versatile space is anchored by a gorgeous gas fireplace, and cozy evenings relaxing in peace and quiet or entertaining guests are in your future! 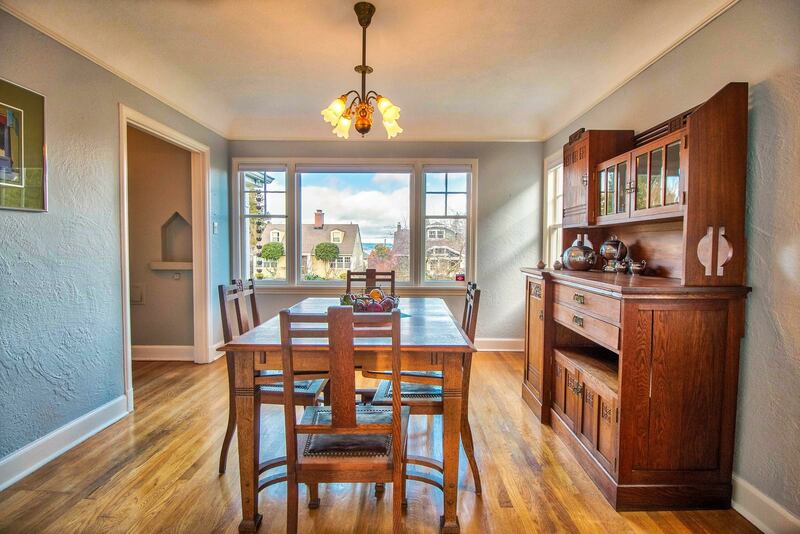 Find even more opportunity for entertaining in this home’s formal dining room. Large windows offer scenic views of the quiet neighborhood, and a spacious layout ensures there’s plenty of room for a full-sized dining table. Hosting a crowd for a holiday get-together or a special occasion? It’s all wonderfully at home here! The adjacent kitchen provides convenience, and here you’ll discover outstanding efficiency and classic style. Custom concrete counters, sleek appliances, handsome cabinetry, and even a pantry all come together in a dynamic blend of elegance and efficiency! 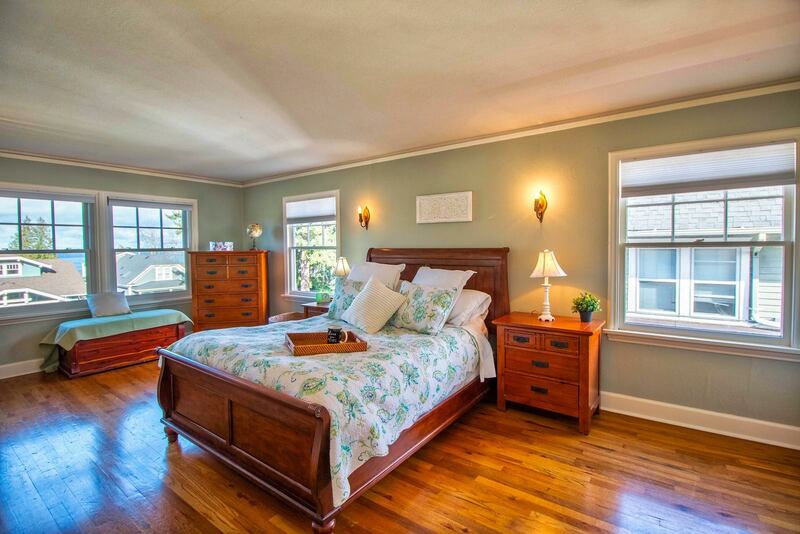 Journey upstairs to discover even more of this home’s warmth and charm. A potential reading nook awaits at the top of the stairs—imagine walls lined with bookshelves, and a comfy chair or two! The must-see master suite with a view can be found on the 2nd level as well, and this sprawling space shows off a calm color palette, rich hardwoods, and of course, several large windows designed to take advantage of the view. Even more welcoming, versatile space can be found in this home’s office space and finished lower level with a family room. Resort-inspired amenities create a scene to be marveled at in this home’s backyard. A shimmering heated pool rests at the center of it all, and summers filled with pool parties, weekend barbecues, and sophisticated soirées are in your future! The surrounding patio boasts tons of space for outdoor dining sets, luxurious lounge chairs, a barbecue, decorative floral arrangements, and whatever else your ultimate vision of paradise requires! Plus, a double garage with RV parking provides room for storage. 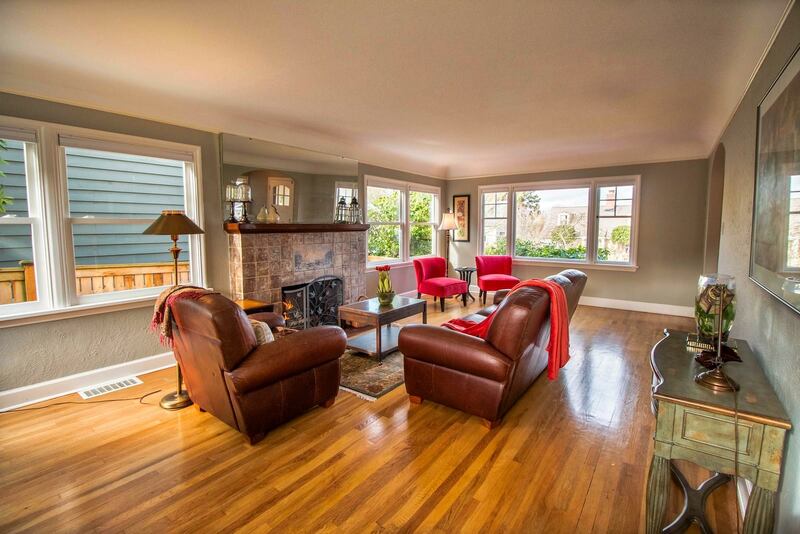 At 3410 N 29th St Tacoma WA 98407, enjoy being tucked away in a prime North Tacoma location. You’re merely 0.3 miles away from North Proctor Street, making it easy to take advantage all that the historic Proctor District offers! Grab a bite to eat at Europa Bistro or La Fondita, go grocery shopping at Safeway, Metropolitan Market, or the farmers market, enjoy an evening at The Blue Mouse Theatre or Chalet Bowl, or spend an afternoon shopping. Ruston Way is just less than 1 mile from home, making it easy to take in views on the waterfront or take advantage of the many opportunities for iconic waterfront dining. All of this and more rests at your fingertips in the North End! Interested in learning more? Click here to view the full listing! You can also contact REALTOR® Heather Redal online here or give her a call/text at (253) 363-5920.